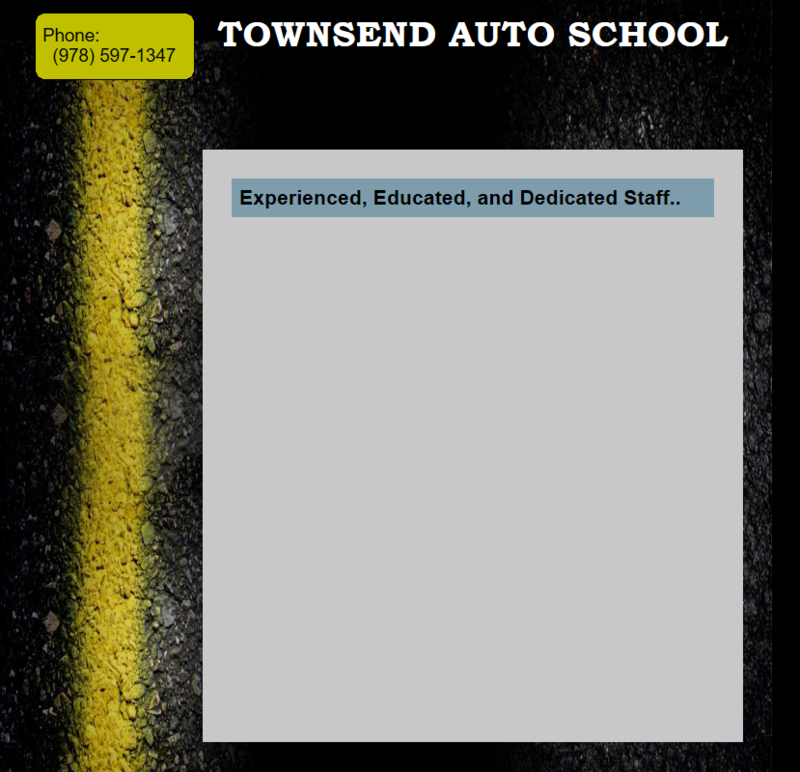 With nearly two decades of experience, as well as being the owner of Townsend Auto School, Brian is here to help you with all of your driving needs. His focus on proper driving techniques and great sense of humor make for a relaxed yet skillful driving experience. 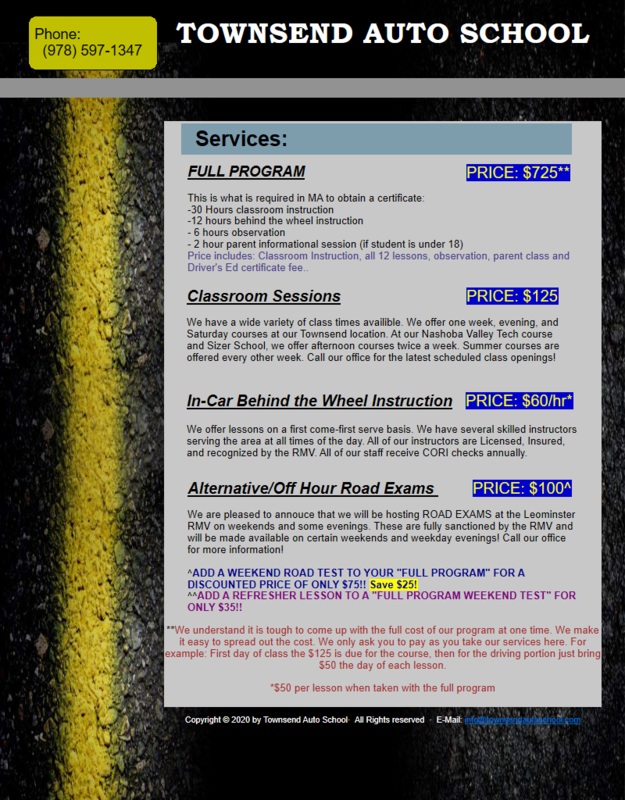 Dan has been with the auto school for several years now. Dan has been the classroom instructor for almost all classes in the past few years. His attention to detail, and ability to tie in real life stories, make his class fun and extremely educational. Barbara is a member of our administrative staff. With her attention to detail and delightful attitude towards customer service and appreciation, you will find her very helpful in answering any questions you may have. 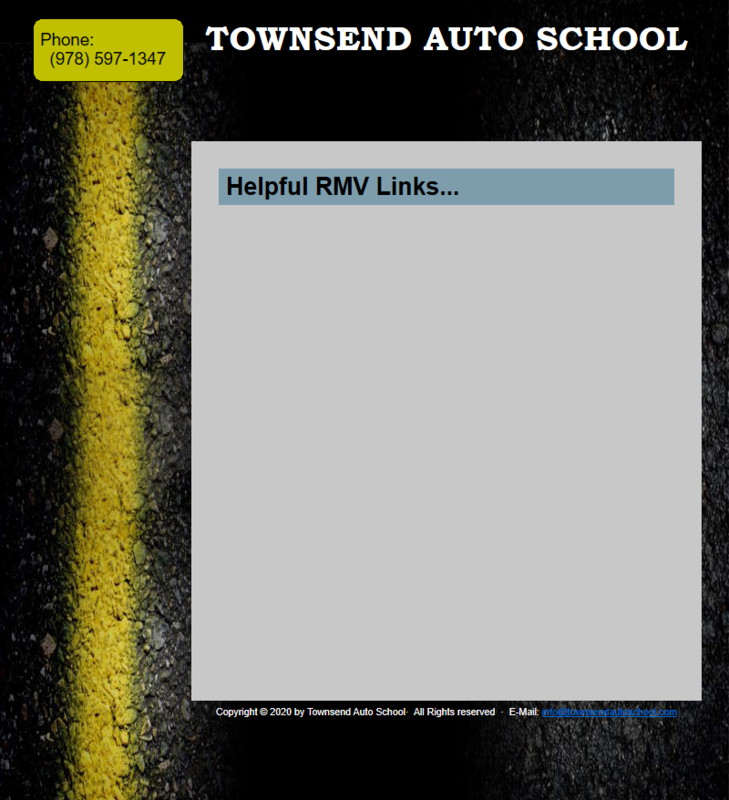 Townsend Auto School is committed to providing the best experience to our customers. Having a committed staff that is friendly, helpful, educated, and easy to talk to is the key! From the phone to the road we try our best to help our customers feel comfortable and learn what it takes to take on the challenges of every day driving here in Massachusetts. Give us a call and talk with one of our administrative staff to answer any questions you may have and get you on your way to a successful driving future! Here is a look at our staff! Nate brings a great attitude and incredible patience to the car. His skill and laid back approach makes for a relaxed, educated driving experience. Mike brings a fantastic attitude and high level of expertise to every class/lesson he teaches. As a former truck driver in Boston and beyond, he has the experiance to teach students what it takes to drive in even the most challenging enviornments! Jessey is a member of our administrative staff. Jessey has worked with us off and on for many years. Jessey brings a wonderful attitude and desire to help customers through the Driver's Ed process.